Superb game, I'll try to keep improving. 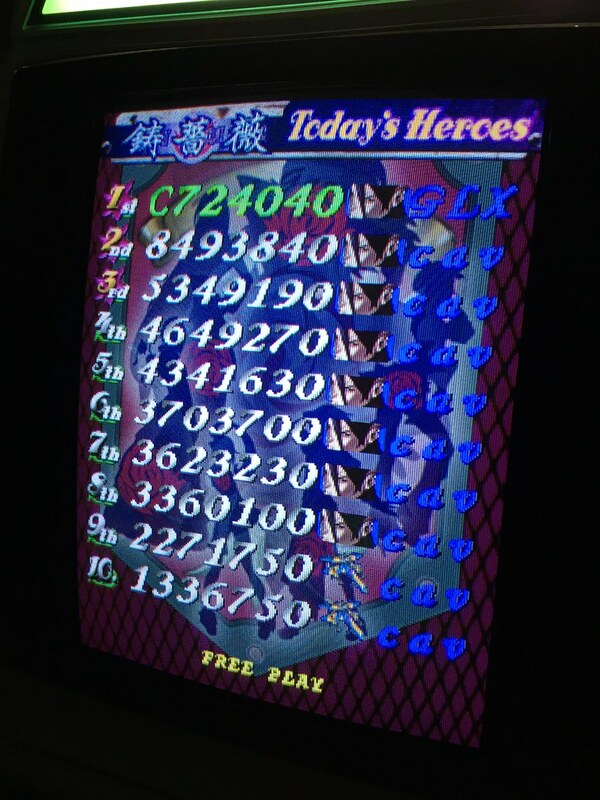 Demul is basically MAME but runs a lot better on most PCs for SH3/cv1k. 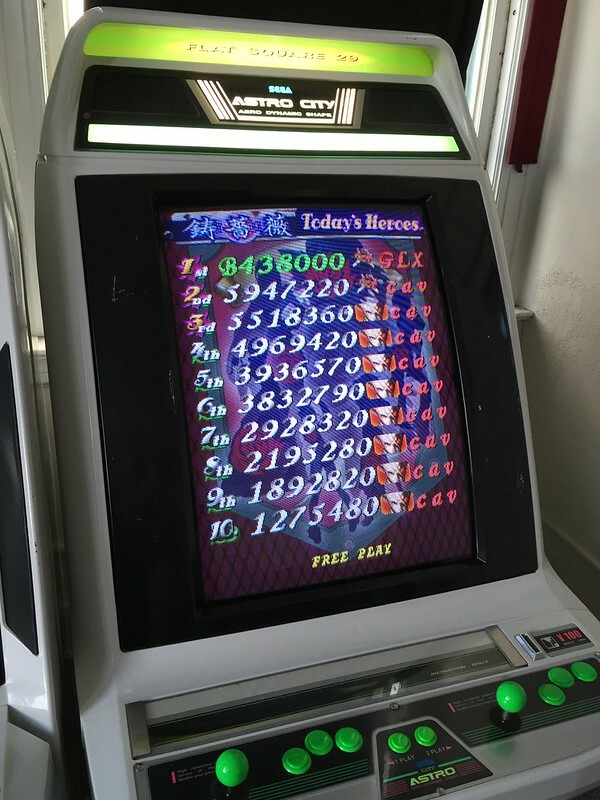 I played the PCB some hours at a local arcade & everything worked identically apart from some slowdown like st3,6. Got this in a week. For what it's worth, MAME runs a lot better than normal if you use a 64-bit build and enable multithreading. Happy with this score, now I've cleared with all 4 of Bond's ships. [EDIT] And a new Dyne score. 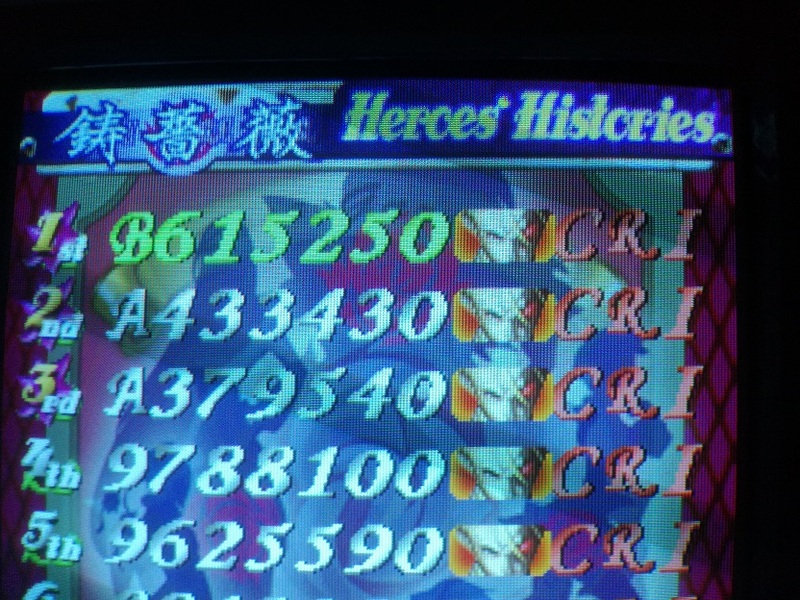 Really bummed this wasn't a clear, ended up being just a handful of fragments short to having another hadou which would have made all the difference against Teresa's final form. I was able to dodge it for a while too, but eventually got trapped and couldn't finish her off no matter how hard I tried. 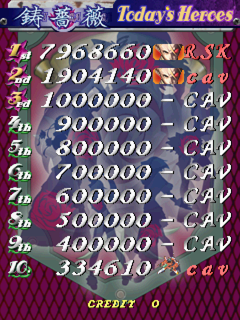 This was a really good run for me, except for the Medal drop in stage 3/4. I died pretty quick in stage 6 as expected, don't have much experience and was a bit nervous. So close to the letter score! Yeah, i couldn't believe it myself. Honestly, the first few weeks i started learning this game i thought i would never reach the lowest score on the Bond table. 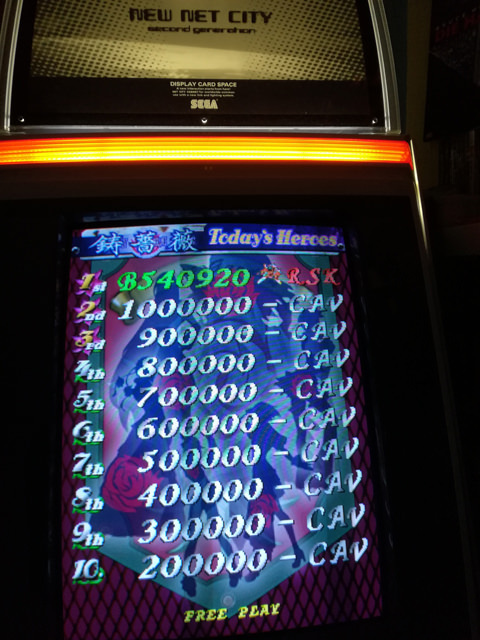 ibara arrange ps, Bond ... sorry for the blurry picture, for some reason i can't get the right sizing on imgur. jonst - 47,667,710 - all - (type d). Slowly climbing up that ladder. Keep it up! Slowly! But my progress in my scoring has come fairly quickly, especially switching to type d. I still can't get max medal value on the first stage though! ...thanks Plasmo, I will! again, sorry its super blurry... if you want a better pic, let me know! Not a huge improvement in score but i finally cleared it! 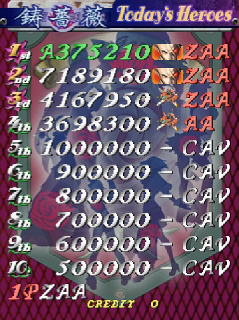 Ibara is an incredibly difficult game! One of CAVE's hardest, that's for sure. What's your next goal with Ibara? My best safe-state run was C5 i think. 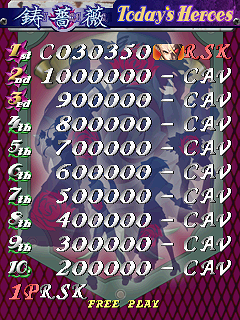 I don't milk any of the bosses though; except for stage 2, if i can get it. 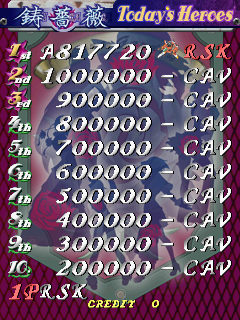 But most of my runs end on stage 1 or 2 which is really frustrating. It's not even a specific spot or boss that kills me. I have routes for the first for stages that i'm really comfortable with. It's just hard not to screw up in this game. didn't expect higher this quickly! This was such a great run, unfortunately it ended too early on Lace. I had some really bad luck on the last phase which killed me twice. Should have used my Hadou end killed her faster Well maybe next time..